For Recreation and Tourist Attractions, we have broken down a lot of activities in the blue highlighted phrases on out homepage. Also, click links at the left for Natural Resources, Visitor Guide, History, and the Community Center. 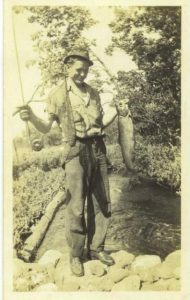 The Wild Rose area has long been known for its excellent trout streams. The village mill pond also has a variety of pan fish swimming its clear waters. Еarly fly fishing on one of Wild Rose's Class A trout streams. 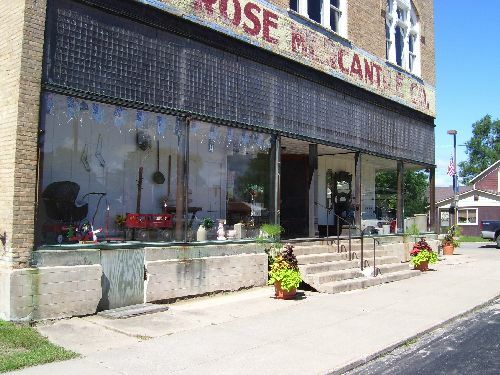 On the weekend, you might like to spend a leisurely afternoon antiquing at the Wild Rose Mercantile. Guys, while the ladies are checking out the antiques at the Mercantile, you may want to man-shop the hunting apparel and equipment at Lauritzen's. 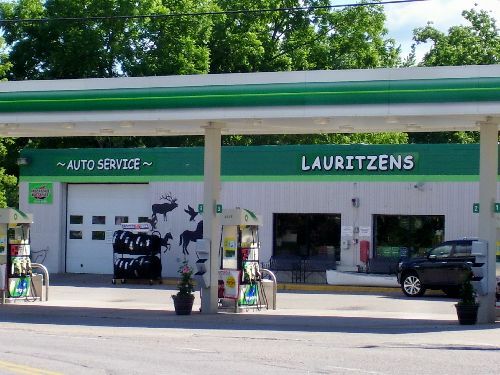 From guns, bait, deer stands, fishing tackle, to camo-gear, Lauritzen's Sport Shop has your stuff! The new Wisconsin State Record Buck was taken in the Wild Rose area in November 2010, referred to as the "Inda Buck" . The Inda Buck is featured on Lauritzen's Sport Shop homepage with additional pictures of it and some of the really fine trophy deer taken this past year in the Wild Rose area. Congratulation guys and gals on your hunting results! Or you might check out Slugger's Sports Bar which sponsors sand volley ball, horseshoes, baseball and slow-pitch softball teams, has dart leagues, as well as having two pool tables, and a DJ on weekends. Slugger's is located on the corner of Main and Front Street.